OOTD - Lace Meets Leopard | Lace Top and Animal Print Jeans ! 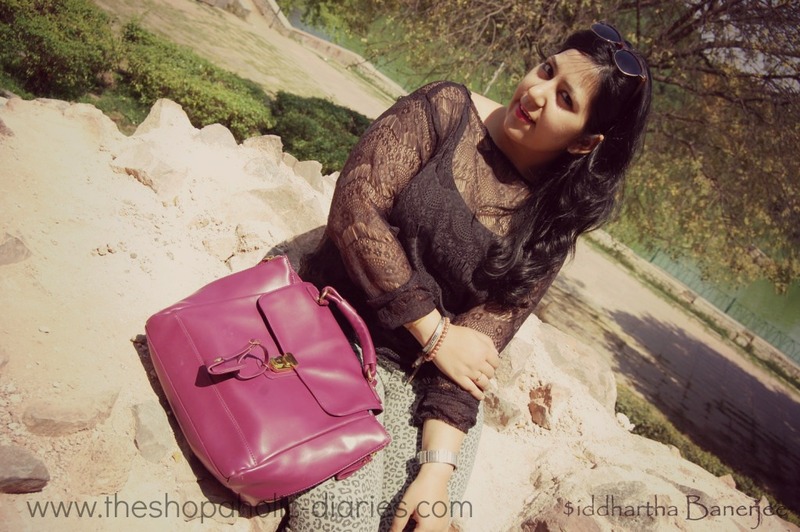 | The Shopaholic Diaries - Indian Fashion, Shopping and Lifestyle Blog ! 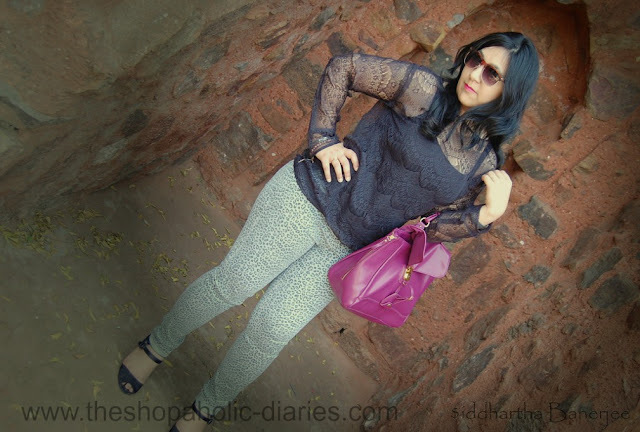 OOTD - Lace Meets Leopard | Lace Top and Animal Print Jeans ! I was invited over to an amazing ELLE Chic Instinct Fashion Bloggers Meet today, at their DLF Place, Delhi store. It was a fun event, and I really liked their new collection which I will introduce in the next post. 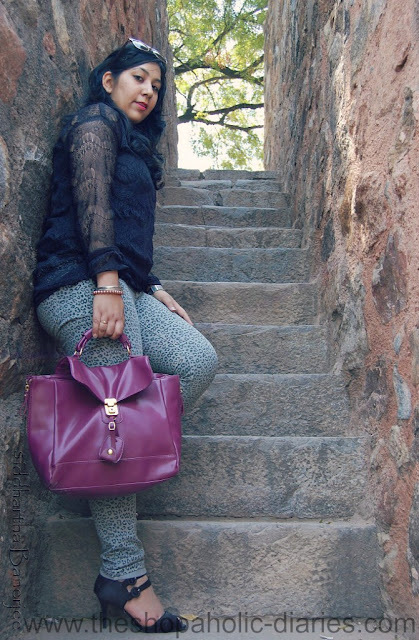 Today's outfit was what I had worn last month while I went to attend the Wills Lifestyle Fashion Week - yess it was clicked last month.. Thanks to my laziness - I am finally able to post the pictures now. 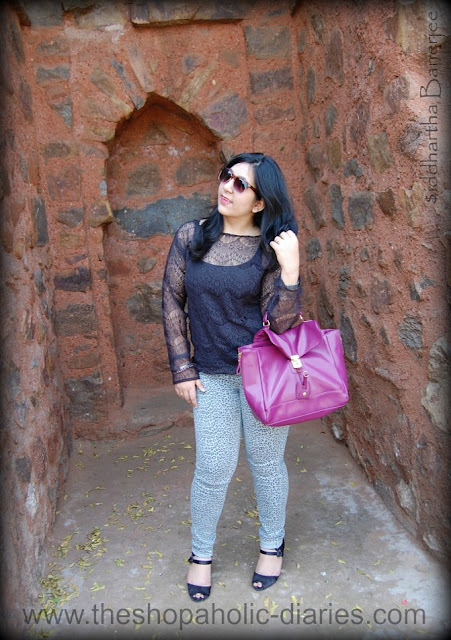 In this outfit I have teamed up a Lace top with a Leopard print pair of jeans. 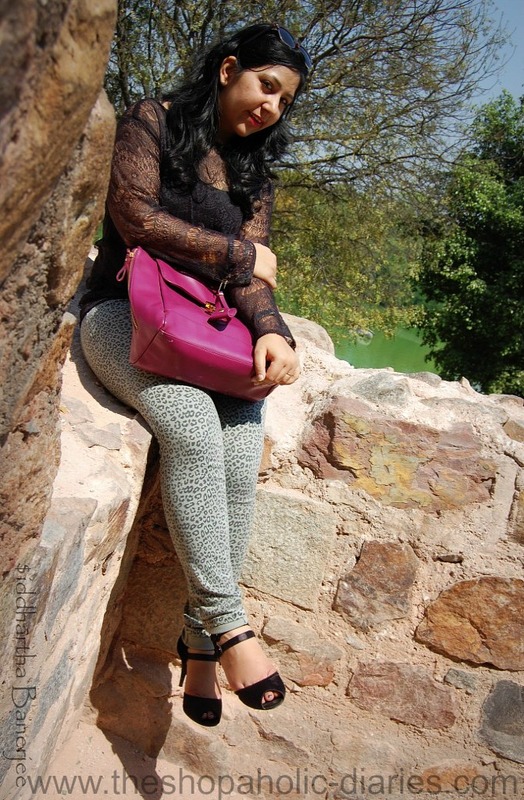 While on hand, lace is all about elegance, whereas animal prints are bold and edgy. But when worn together, they surely look classy and chic. Don't you agree? 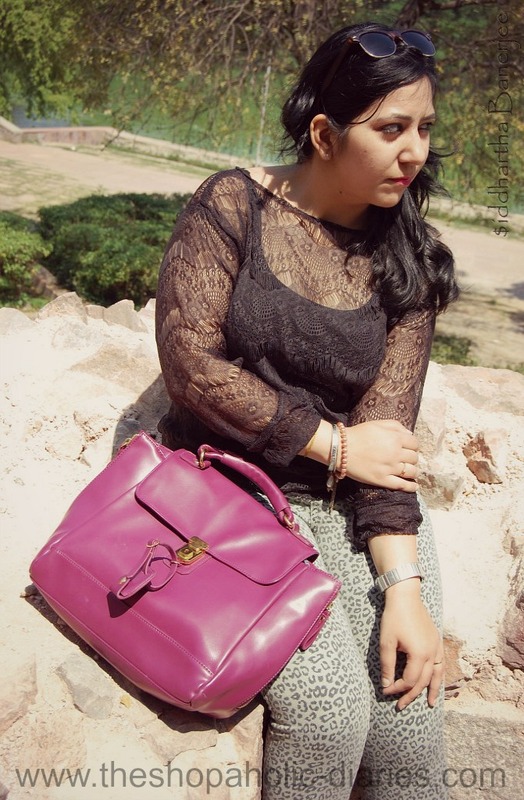 I completed the outfit with my new bag from Accessorize and my all time favorite pair of heels by Metro. What's your take on my outfit? Do share in the Comments below! OOTD - One of those Gloomy Days! !